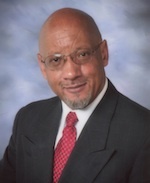 Rodney K. Taylor is the Director of Nutrition Services, for the Riverside Unified School District, in Riverside, California. A noted pioneer, and expert in farm-to-school salad bars, he is particularly known for establishing the “Farmers’ Market Salad Bar” (FMSB) program in 1997, while working as Director of Food and Nutrition Services in the Santa Monica-Malibu Unified School District, in Santa Monica, California. Rodney is the recipient of numerous honors and awards. In 2013 he received the Center for Ecoliteracy’s “ Leadership Award”, The California Endowment’s “Health Heroes” Award, Loma Linda University Award for “The Promotion Of Healthy Lifestyles—For Outstanding Commitment To The Public’s Health,” The Riverside Human Relations Commission “Heroes Award” and the N.A.A.C.P. “Education Award,” just to name a few. 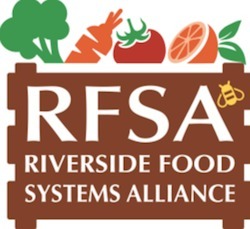 Rodney also serves on the California State Board of Food and Agriculture, the University of California (UC) President’s Advisory Commission for Agriculture and Natural Resources, and the Network for a Healthy California’s Executive Committee. Click here to register for the conference now!